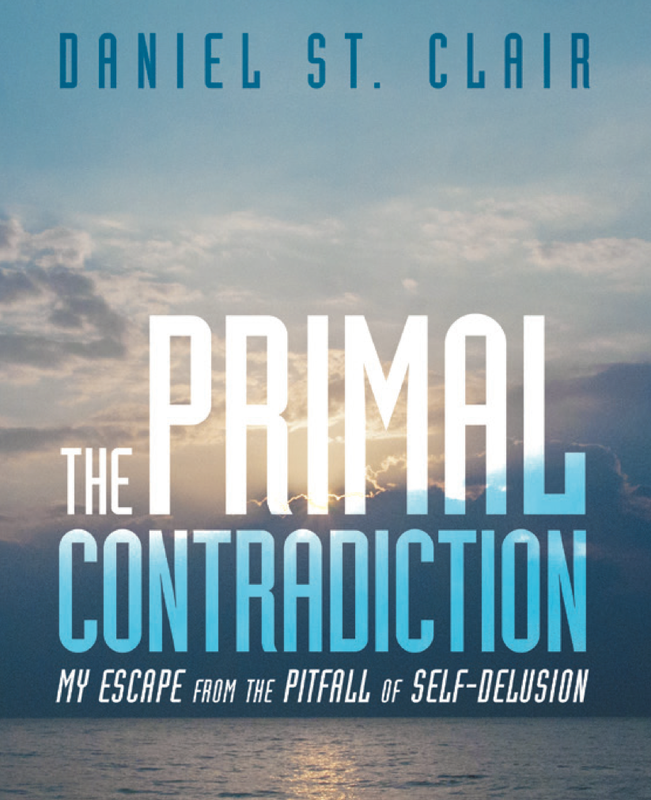 Until the day before I actually began working on “The Primal Contradiction”, I had never in my life thought seriously about sitting down and writing a book. I was supposed to tell my story in this way, describing everything about my search for the truth. The immensity of such a project seemed unattainable to me, well beyond anything I believed I was even capable of. Early in the morning on that day, however, I earnestly asked for help, for a way to be lifted from the everydayness of the mundane existence I seemed trapped in, neither knowing the reason why nor having the faintest inkling of what the answer might be that I was searching for. And then, all at once, I clearly perceived the message unfold within my awareness. I knew my direction had been pointed out to me and that, along the way, others’ perceptions would need to be considered before my own. I was supposed to tell my story in this way, describing everything about my search for the truth. Consequently, I knew that I would be doing exactly what I had always wanted yet feared to do: reveal exactly what had happened to me more than thirty-five years ago. As a young boy, I grew up believing that my observations were sound, that interpretations and classifications were important. I was overflowing with personal opinions, committed to upholding a system that I employed to evaluate everything that was experienced in life. However, at one point when I was a young adult, the hard-and-fast manner in which I had always perceived was suddenly and completely transformed by a power I had never known of before. All of my condescending thoughts and behaviors came to an abrupt end, and the powerfully deceptive preoccupation with self-will allowed me to go free. Stripped of the familiar, predictable pattern of thinking that I had always known, I was abruptly suffused with a sense of awareness so foreign that I was forced to find a way to exist in a world I had previously not known. I had to let go of nearly everything I believed was true about human nature and adopt a new position from which to view the world. Almost immediately afterward, I began learning a way to be, discovering a method of living that alleviated the painful affliction of self-centered arrogance along with its devastating compulsions of prideful disdain and indignation. Because of having lived through such episodes of personal transformation so long ago, I was ultimately able to see the truth about myself and finally did realize that I needed to share some of these extraordinary stories with others—perhaps even provide new understanding or grant a measure of insight to another. When I began writing, a mysterious, intense power subsequently pulled me through each of the chapters, enabling me to remember circumstances that I had forgotten long ago while encouraging me to maintain my focus as well as follow its direction. All along the way, it helped me to weave through the labyrinth of memories and recall the specific details that precisely describe the experiences garnered during a significant portion of my lifetime. This entry was posted in Author Background and tagged Direction, Inspiration, Memoir, New Author, New Book, Personal Trasformation, Summer Read on August 25, 2015 by Daniel St. Clair.